In 1957, the space race was heating up. After the Soviet Union launched Sputnik into orbit, the United States was desperate to catch up. Dr Wernher von Braun and other top engineers struggled to find a solution to the US rocket programme's failures, so they turned to Mary Sherman Morgan. While von Braun became a familiar figure in newspapers and on television screens across the country, Mary Sherman Morgan's story is more obscure. 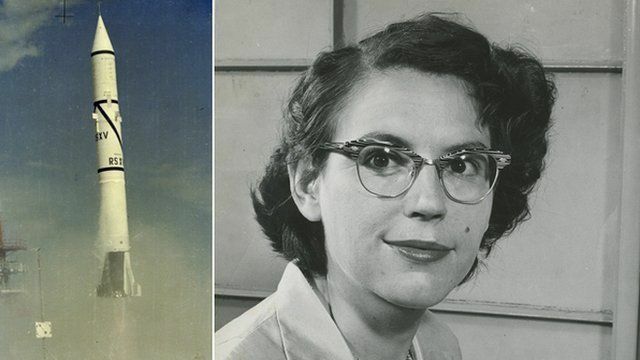 In his book, Rocket Girl, George D Morgan tells the story of his mother's journey from North Dakota farm girl to brilliant scientist whose obscure, yet crucial, contributions to the development of a new rocket fuel powered the country's first satellite, Explorer 1. Mr Morgan spoke to the BBC about his mother's lost legacy and the complex nature of fame.